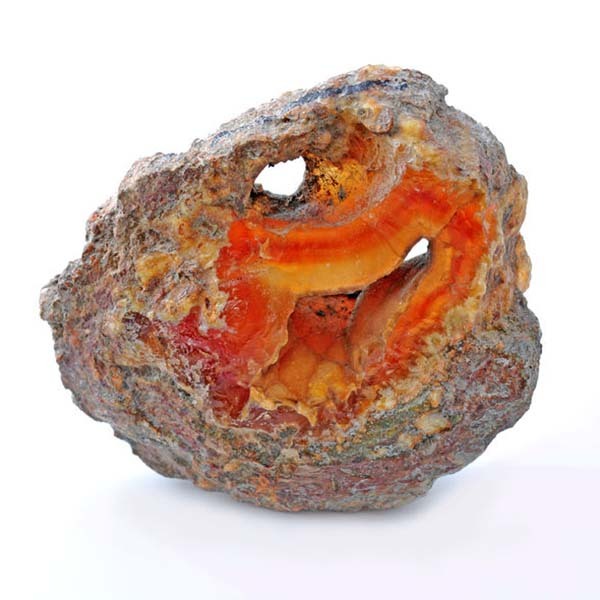 Much of our creative energy flows from the 2nd Chakra, so if you are an artist experiencing a "block" in your creative process, Carnelian would be excellent to get you back on track. 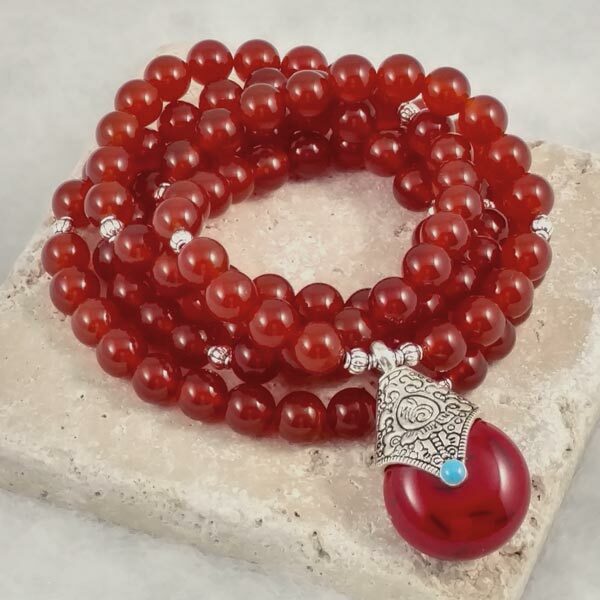 The 108 carnelian beads in this one are 8mm in size, accent beads are fine pewter (no nickel or lead). 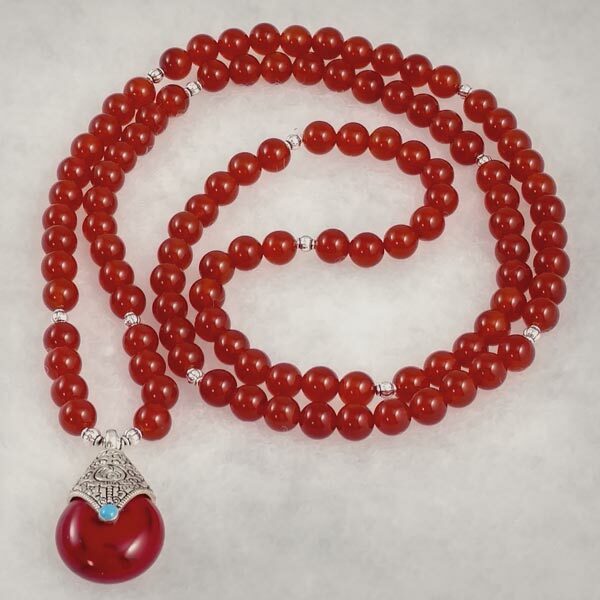 The overall strung length is 38 inches. 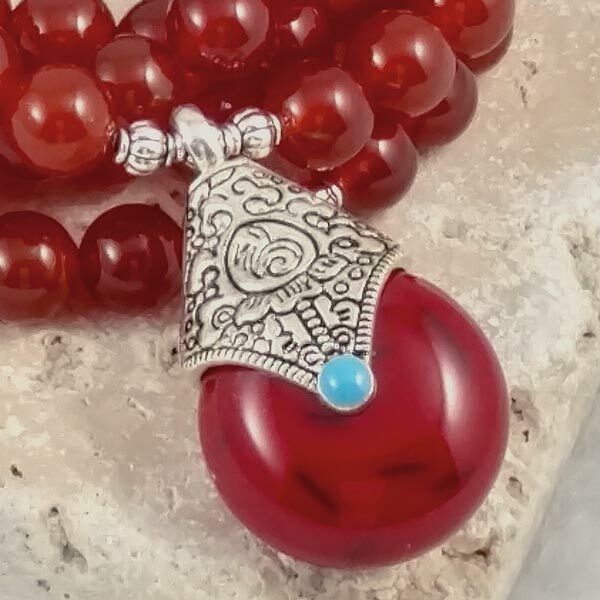 Red stained wooden Tibetan style charm with enameled accents is 1-1/2 inches tall and 7/8 inches wide. I have strung this one on heavy duty stretch cord and it can be wrapped on your wrist as a bracelet or worn as a necklace.